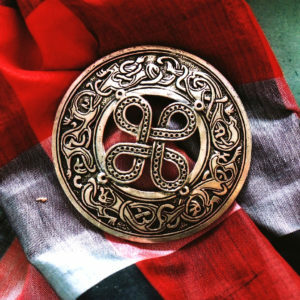 Part of the Nagle Forge and Foundry “Seven for Seven” series. 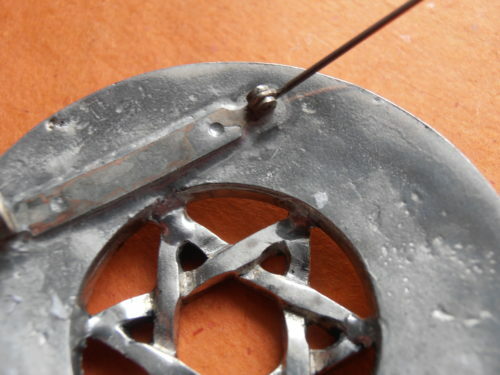 (There are seven synagogues in Scotland and Scotland has a Jewish tradition that may date as far back as the 11th century.) 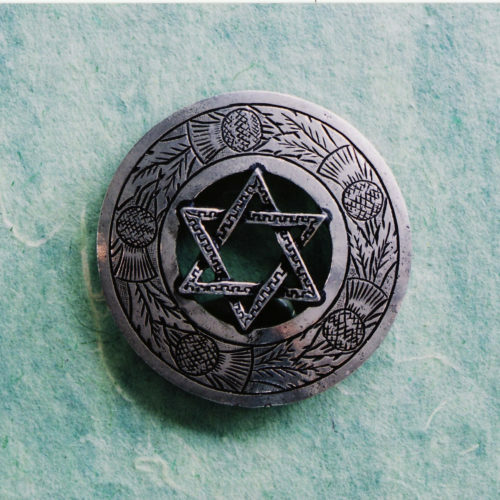 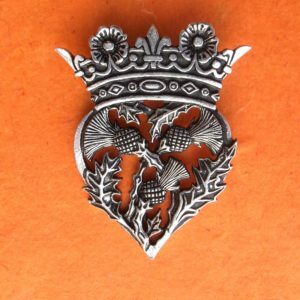 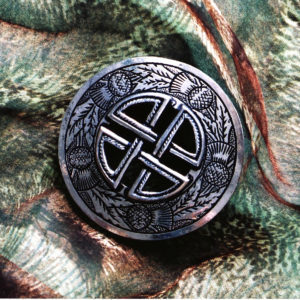 This pin incorporates a traditional Victorian-style engraved thistle ring with a graceful greek-key patterned Star of David.